After 25 years of marriage, it looks as though Arnold Schwarzenegger and Maria Shriver are no longer able to resolve their issues and overcome their differences. In a joint statement released Monday, the couple announced their split, but made no mention of divorce. The 63-year-old former Governor of California and his 55-year-old Kennedy-family wife first met in 1977 at a charity tennis tournament event; they were introduced to each other by Tom Brokaw. 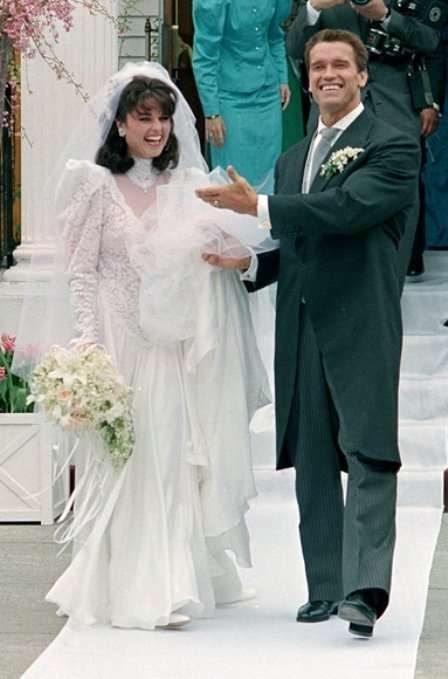 They married on April 26, 1986 at St. Francis Xavier Roman Catholic Church in Hyannis, Massachusetts and went on to have four children. Kennedy Family Refresher: Maria Shriver is a Kennedy because….. she is the daughter of the politician Sargent Shriver and Eunice Kennedy, who was the sister of U.S. President John F. Kennedy, U.S. Attorney General and U.S. Senator Robert F. Kennedy, and U.S. Senator Ted Kennedy, as well as five other siblings. previous post: Kentucky Derby 2011 – Check Out The Bathroom Trailer! 53 queries in 0.656 seconds.